Does EMM have to be so difficult? This is a question that bothers me very much, every single day. I mean from the perspective of the customer. Expectations soar high every time there’s a mention of an EMM implementation. And every time I feel I know the answer, there’s ‘one more thing’ that gets added to the EMM definition that makes it all the more elusive. And there it is – that’s exactly why. EMM means many things to many people. CIOs and the IT Operations teams view EMM as a tool to improve operational efficiency in managing mobile assets (asset inventory) and monitoring their compliance status. Business Unit Leaders want EMM to help their sales teams access corporate resources anywhere, anytime on any device they prefer so they can enable their salesforce with real-time information. And employees want to be able to be good citizens of the workplace and be more productive without waiting for the right time and place. CISO’s and the Security teams rely on EMM as a reliable tool to set security policies on the device, prevent data leakage from applications, ensure regulatory compliance by enforcing encryption and so on. Not only are we dealing with two orthogonal requirements, we are also looking at a single tool that literally becomes a ‘swiss-army knife’. A tool that has to meet the diverse requirements of diverse industries. And a tool that has to keep pace and be built on top of an ever changing OS platform. I like to use the metaphor of the ‘Operating system for the Digital Workplace’ to explain the complexity of EMM. The Magic Quadrant for EMM was published last week. This year we have a few new vendors that made it to the MQ and a few that were left out or simply disappeared. Interestingly, there are no challengers this year. In many ways, this market is unique in that every vendor approaches it with a vision that they beleive will define the next ‘Digital Workplace’. Most solutions will appear to have very similar foundational components, but are yet very different when it comes to actually using them. I like to use the metaphor of the ‘Operating system for the Digital Workplace’ to explain the complexity of EMM. To answer this and elucidate the difference between EMM and Mobile Security/Mobile Threat Defense tools, Dionisio Zumerle and I published a research note When and How to Go Beyond EMM to Ensure Secure Enterprise Mobility. The journey has just begun for most organizations. Organizations that have no management in place are starting out with MDM, others are beginning to manage and secure apps via MAM, few others that have apps deployed are looking for ease of authenticating users using SSO capabilities and Biometrics. 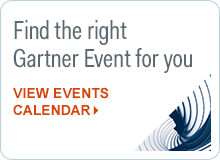 Watch this space as we jointly explore more interesting aspects of enterprise mobility. EMM is but one piece of the puzzle. Enterprise mobility is a moving target, or should we just say – a ‘mobile’ target? 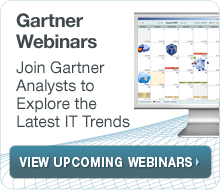 Thoughts on Why is Enterprise Mobility Management (EMM) so difficult to get right? 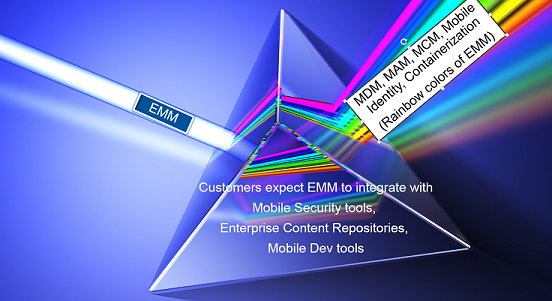 Nice clear articulation of the challenges that EMM is facing in the enterprise. As a service provider in this market segment we rarely see enterprises going ‘wall to wall’ with the functionality on offer but rather getting stuck in one of the silos as you point out. Nice post. You provide a clear and detailed information about the difficulties of EMM. Keep updating this.